J.D. Scrimgeour is an assistant professor of English and Coordinator of Creative Writing at Salem State College. He lives in Salem, Massachusetts with his wife and two sons. 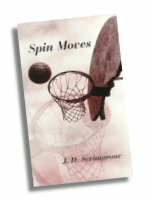 "Spin Moves is basketball as a literary musical, a world that has its own soundtrack (with varied time signatures) as well as its own language. In this pickup game of motion and nuance, every character knows that moving rhythmically is the best way to communicate. Sometimes it's a mesmerizing crossover dribble; sometimes it's a guard's quick glance and lob to the power forward. When spoken dialogue is required, there is time for only exclamatory shards of the language: by yourself! back door! Pick right! 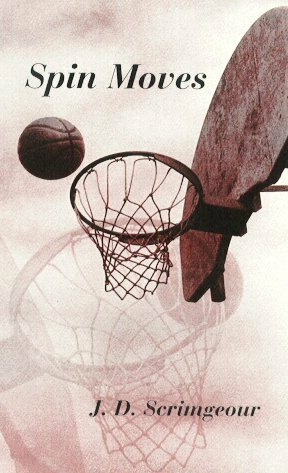 The movement and pacing in Scrimgeour's essay is so complete that, when you finish reading, you'll want to practice your finger roll."